Scottish Snooker is fully committed to safeguarding and promoting the wellbeing of all its members. We believe that it is important that members, coaches, officials, administrators, parents and spectators associated with the organisation should, at all times, show respect and understanding for the safety and welfare of others. 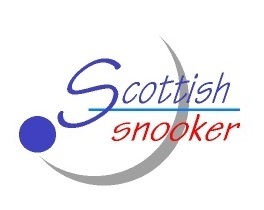 Therefore, those associated with Scottish Snooker are encouraged to be open at all times and to share any concerns or complaints that they may have about any aspect of Scottish Snooker by first contacting the Secretary. Interpret rules and regulations to match the skill level of yourself and your opponent. Be consistent, objective and courteous. Never argue with an official. If you disagree, approach the official during a break or after the game in an appropriate manner with your coach or manager if applicable. Control your temper. Verbal abuse of officials or other players, abuse of facilities or equipment, deliberately distracting or provoking an opponent is not acceptable or permitted. Treat all players as you would like to be treated. Do not interfere with, bully or take unfair advantage of another player. Co-operate with NGB officials, Club management, teammates and opponents. Without them there would be no competition. Play for the “fun of it” and your own satisfaction, and not just for the money, or to please parents and coaches. All players must respect the rights, dignity and worth of all participants regardless of gender, ability, cultural background or religion. Be prepared to lose and look for the positive aspects in your performance. Everyone wins and loses at some time. Be a fair winner and a gracious loser. Actions speak louder than words. Ensure that both on and off the table your behaviour is consistent with the principles of good sportsmanship and does not bring the game or our organisation into disrepute. Accept responsibility for your own performance and behaviour. Understand and protect your rights at all times.